No Days Just Weeks: Is there a limit to your love? I, like many others have a sincere, pure and heartfelt love for shoes, but even I have a limit to my love. The more I think about it, the more I realize that some shoes, while being beautiful and amazingly dope, are TOO MUCH money. Let's be honest, I have many loves... shoes, beauty products, art and the list goes on. Due to the fact that I have a long "love" list, I have set a strict limit to my shoe budget. It gets easy to get caught up in the moment, the occasion, or the trend of the moment, but don't let your love catch you off guard. 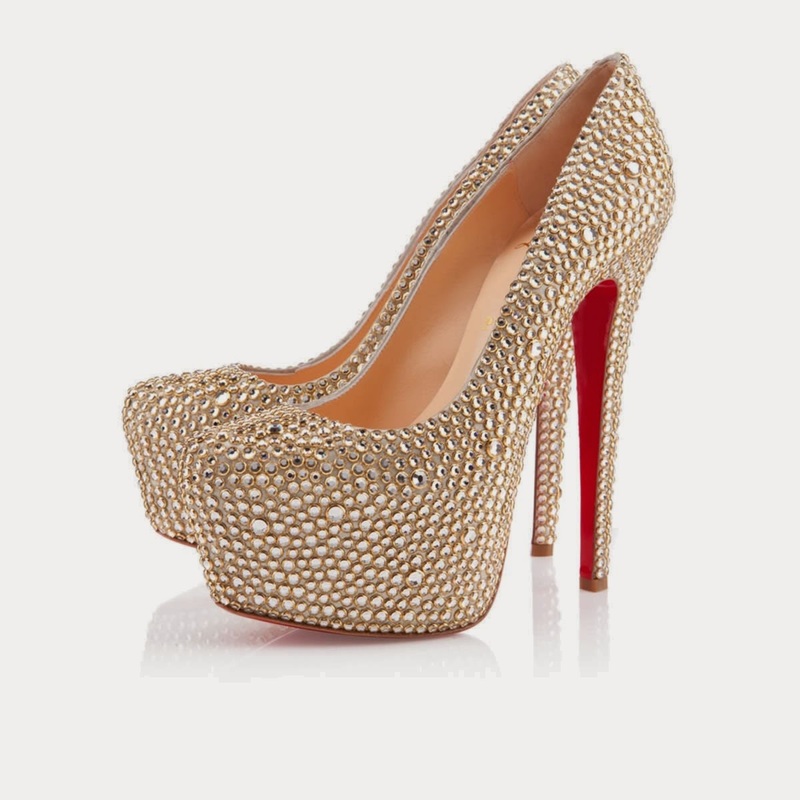 For example when I was searching for shoes for my wedding I came across these beautiful Christian Louboutin Daffodile Strass pumps that happen to cost $6,395. Now I had a large budget for my wedding but there was NO WAY I was willing to pay over $6000 for a shoe that I may wear twice. I have not only a limit, but a HARD limit to the amount I will spend for a single pair of shoes. I suggest that if you haven't set a limit yet, you work on it. You don't want to get caught off guard and end up with $6000 shoes. In the event that it does happen to you, and you are greatly regretting your decision, AND they happen to be a size 39, I will help you out and pay you a small fraction of what you paid for them to take them off of your hands! Yes, I am that great that I would do that for you, feel free to thank me later.